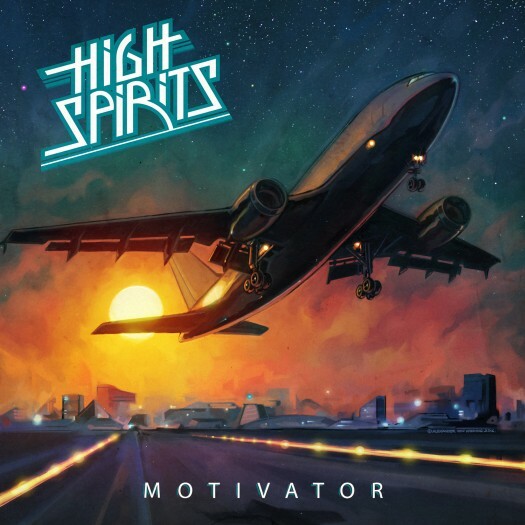 For those about to rock, High Spirits not only salute you, they offer a rock’n’roll self-help manual in their latest release, Motivator, to help you on your rock journey. 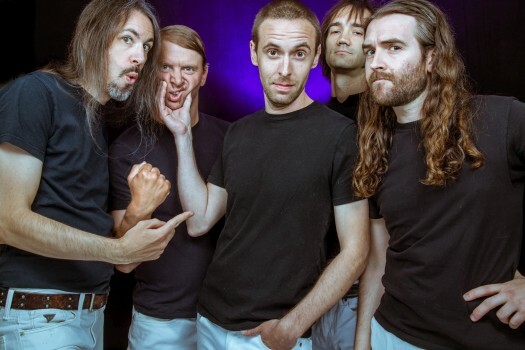 Like a musical version of a Tony Robbins book-on-tape, Motivator teems with Camaro-rock riffs, punchy melodies, and lyrics that entreat you to “let your spirits rise”, “take on the night”, and “stand by for the guiding light”. The cover art even features a jet taking off at sunset, into the night and presumably into glory. The message is simple and straightforward: It’s time to rock, so don your patch-encrusted denim jacket and put your fist in the air. There’s no time to be morose or lack confidence when listening to lyrics like “keep it close and in control -- after we rock we’ve got to roll”. The album begins with a brief, high soaring instrumental, “Up and Overture”, which then sets the stage into “Flying High”, a passion-filled rocker that lands somewhere between Loverboy and Judas Priest and sets the bar for the remainder of the album, which is filled with mostly short, energetic songs. Other standout tracks include the galloping “This is the Night”, and “Haunted by Love”, which practically demands that you sing along with it. High Spirits live lineup. Photo © John Mourlas. All rights reserved. High Spirits is the brainchild of Chris Black, who also records as Dawnbringer. If you follow his work at all, you know he’s into concepts, the most epic of which was probably the 2012 release Into the Lair of the Sun God. Black has said that the inspiration for Motivator -- music, lyrics and even the cover -- hit him at once, and that he actually had to prevent himself from moving too quickly and releasing it as a demo two years ago. Given the album’s relentlessly earnest and upbeat nature, there are times when it’s easy to wonder how serious it is, but there’s no doubt it’s fun.